ANDY BAXTER – BAXTER FITNESS SOLUTIONS – Andy has been a senior personal trainer, post rehab conditioning specialist and medical exercise specialist for 24 years. He holds certifications from the Health and Fitness Institute, the American Senior Fitness Association, the American Association of Health, Fitness and Rehabilitation Professionals, U.S. Rowing, Concept 2, and the American Sport Education Program. 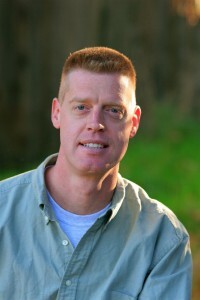 Andy currently owns and operates Baxter Fitness Solutions for Fifty and Beyond (Ashlandand Medford, OR). His other company, Beyond 50 Fitness, LLC produces senior specific fitness DVDs. Andy’s proprietary Ageless Fitness Systems has licensed satellite facilities in British Columbia, Oregon, California and Kentucky.